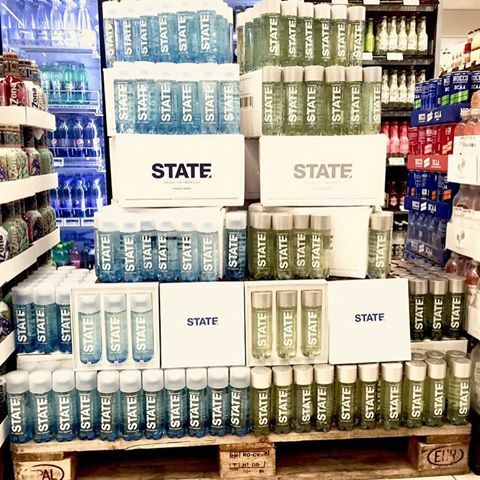 – STATE® is a successful brand in the market for high performance energy drinks. It is made for athletes and regarded as a very attractive recipe, and both investors and prominent international sports names line up as ambassadors and financial backers – among them are Christian Eriksen, Tottenham, player of the year, and Caroline Wozniacki, WTA and former world ranking number 1. In December 2015, just a few days before Christmas, STATE® contacted CUC Engineering with quite a challenging rapid development assignment. The trend in the market for energy drinks had taken a turn that seemed particularly promising for STATE®, but it was a window of opportunity that would only be open for a short period of time, so that immediate action was required. CUC Engineering was to produce a injection moulding tool to the manufacture of caps, and fast. After the first couple of cap deliveries the people behind STATE® decided to give the cap a new unique look so as to complete the iconic expression of the bottle. STATE® is the new balanced energy drink, for those who wish to achieve the unique combination of mental balance, increased focus, stable blood sugar and a high energy level. It is made from the best ingredients available and composed especially for you, to provide you with unique performance as well as sheer pleasure.